If money wasn’t an issue, where would you travel? The combined jackpots of Mega Millions and Powerball lottery are now more than $2 billion. Mega Millions alone is at $1.6 Billion as of this writing. It’s easy to get caught up in the allure of it all just like so many in the United States who have rushed to their local convenience store in hopes of winning big. In fact, most have already decided on ways they’d plan to spend the money. And it’s no surprise to see family, friends and strangers all discussing which destinations they would travel to first. People really want to see the world around them, but oftentimes money can get in the way. New studies have shown that families struggle to plan and afford vacations and more than half of Americans haven’t had a week-long vacation in years. 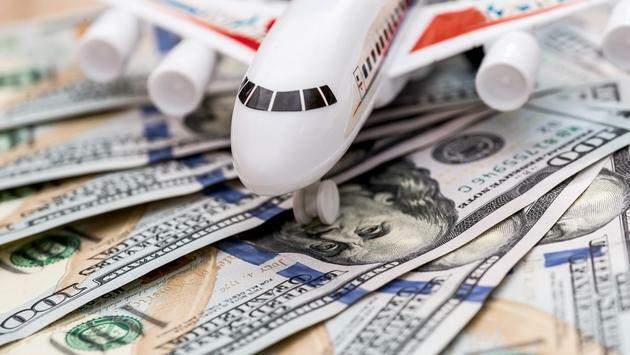 And in 2019, new taxes could make it even more costly to travel to some destinations. Becoming a billionaire overnight would, of course, change everything. Everyone has their bucket list destinations. So, where in the world are you going first? Would you consider a cruise around the world? With that kind of money, you could buy your own plane and fly anywhere you’d want. Or would you miss going through the craziness of an airport? You could travel to the casino in paradise for some gambling fun, or explore the destinations made famous by your favorite movies. The travel options are seemingly endless. So much so that many who dream of winning would quit their jobs to travel the world immediately. But for the travel agents and advisors out there living and breathing all things travel every day, how would winning the lottery change your travel life? Would you quit your travel job? Would you invest more in your business to see it grow by leaps and bounds? Would you buy out your competition? Or do you love what you do, and nothing would change? It’s fun to think of the ways becoming a billionaire would potentially change things, but considering you have higher odds of getting struck by lightning than you do of winning the lottery jackpot, it’s probably best to not put too much stock into it. Somebody will eventually win though, and that’s what makes it so much fun. If you’re reading this and you end up winning, I sure hope you’ll think of me and TravelPulse should you decide to spread the wealth!